A healthy lawn is something that any homeowner would want, but for some, it can be difficult to maintain. If you are looking for help to regularly maintain a lawn; Hofmann’s experienced well trained staff is ready to exceed your expectations. There may be several other lawn care services out there, but it would be hard to find another company that offers the quality we do with the same friendly and professional courtesy. Our experience in the industry has given us an attention to detail that will leave you knowing your lawn is in good hands. We want to treat it the way we would our own. Not only will we deliver excellent and friendly service, but we strive to be consistent. We operate on a set schedule and (weather permitting) will be at your home at regular intervals. This helps you know that your lawn won’t get too tall or unkempt. This will also help set your mind at ease that your lawn won’t be mowed over and over when it doesn’t need it. We will work with you to keep your property looking the way you like and then stick to that plan all season long. Mowing It wouldn’t be much of a lawn service if we didn’t mow your yard with high quality equipment. Edging We’ll take care of any grass or weeds that are growing onto a path or sidewalk creating a nice clean look. Trimming We can trim back the hedges and branches at the beginning of the season or keep them in check regularly. Weeding We will take care of the grass and weeds that grow along fences and buildings and can also do preventative weed maintenance. Pruning Keeping your trees and shrubs healthy by pruning is something that can really give your property long lasting beauty. Cleanup If you have a large property it can seem like keeping the limbs off the ground is a full time job. We can help with this as well as storm and seasonal cleanup. Seeding This is typically done at certain times of the year, but you could have a spot or two that need a little seed to help fill them out. 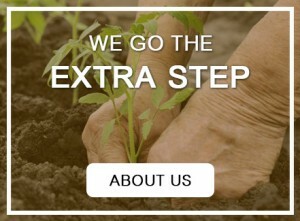 In addition to our regular lawn care services we offer a full list of landscaping services to help with just about anything you need to create a great outdoor space. Contact us today to talk about your maintenance needs and to schedule your free estimate. We look forward to hearing from you!